What Vitamins Do Seniors Need Most? Vitamins and minerals are a vital aspect of health for people of all ages. However, as we’ve noted in previous blog posts, nutrition needs change as we age, and it’s important for seniors to talk with their doctors to ensure that their particular nutritional needs are being met. Vitamin D: For those over age 70, a level of between 800 and 4,000 IU is recommended (up from the 600 – 4,000 IU recommended for ages 50 – 70). Good sources for vitamin D include milk, fish, fish oil and some cereals. 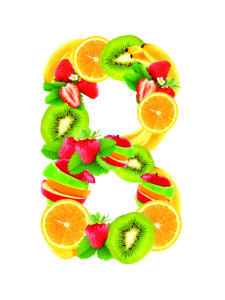 Vitamin B6: Found in liver and other organ meats, whole grains, and some cereals, women need 1.5 mg each day, while the need increases for men to 1.7 mg.
Vitamin B12: For those over age 50, absorption of vitamin B12 from food can be a problem, so a supplement may be required. It’s found naturally in milk, fish, poultry, meat and some cereals. Folate: With a recommended daily requirement of 400 mcg per day, folate can be found in dark green or leafy vegetables (spinach, beans, peas, etc.) or as folic acid in fortified flour and cereals. Calcium: Calcium in the right amount is crucial for the elderly, since risk for bone loss is a factor. Calcium can be consumed naturally through milk products, soybeans, sardines and salmon, and dark green or leafy vegetables, or through a supplement. For more nutritional tips for seniors, contact the Napa Valley senior care experts at Hired Hands Homecare at 866-940-4343. We can provide assistance with meal planning and preparation to keep the seniors in our care healthy. We’ll even do the grocery shopping and clean up after each meal, and provide friendly companionship to make meals less lonely and more satisfying. Contact us to learn more!